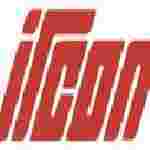 IRCON Executive Trainee recruitment 2016-17 apply for 40 posts : IRCON international limited welcomes application for the position of 40 Executive Trainee for Graduate engineers regular basis through GATE 2015 / 2016..Candidates who completed their Degree in engineering is a good opportunity.The individuals who are the occupation seekers searching for govt employments in India this is the best chance to apply. Competitors read the official notification then read all the guidelines and miners precisely then apply before the last date online application got. All the interested and eligible candidates can apply online before 16th July 2016. Candidates Age Limit: The age of the candidate should be 33 years. The age of the applicant should be as on 31st May 2016. Academic qualification details: Candidates should have full time regular bachelor degree in civil engineering / electrical engineering from recognized Indian University / institute approved by AICTE with minimum 60% marks or equivalent grade. Details of Fee particulars: All the interested and eligible candidates are need to pay application fee Rs 500/- for general categories candidates / other backward class categories candidates through demand draft drawn in the favor of IRCON international limited, payable at New Delhi. Schedule caste categories candidates (SC) / Schedule tribe categories candidates (ST) / person with disabilities categories candidates (PWD) / Ex-servicemen categories candidates are exempted from application fee. Official website: All the interested and eligible candidates can apply online through official website of IRCON international limited www.ircon.org from 2nd July 2016 to 16th July 2016. Process of applying for the job: All the interested and eligible candidates can send their printout of the submitted application / paste a recent passport size self – attested in the space indicated / put his / her signature in the space provided along with relevant documents and super – scribed “Application for the post of ————on contract basis —–ADVT No. 09/ 2016“ send to the joint general manager / HRM, IRCON international limited, C-4, district Centre, Saket, New Delhi:- 110017 on or before 23rd July 2016.